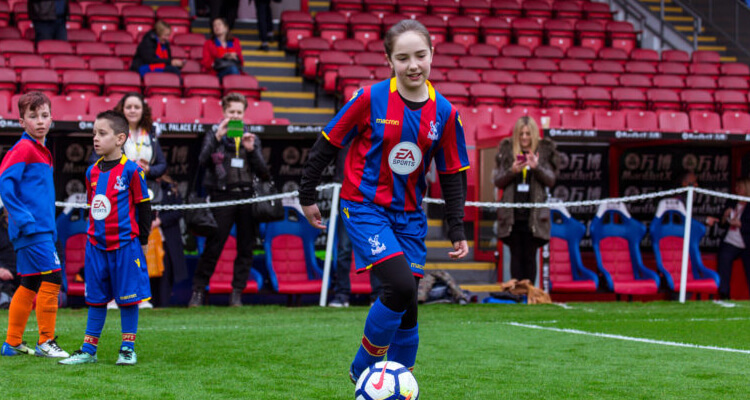 Veronica has been playing football since she was five, but it was not until this season, when Foundation coach and Palace Ladies player Pam McRoberts began coaching at her school, that she started taking it more seriously. The Sydenham School pupil attended after school sessions as part of the Premier League Girls Football programme but was keen to play more regularly and turned to Pam for advice. Veronica’s confidence grew during the four weeks that she trained with the team, and following her trial period, she was invited to play with the under-13s for the rest of the season. Now training and playing matches with Palace Ladies, she plays football up to four times a week. “Since the Palace for Life Foundation has been coming to school, I have taken part in the weekly session, competed in the FA People’s Cup competition and joined the Palace Ladies. One of the games was against Chelsea and we won 3-1, it was really exciting and I nearly scored a goal! “The programme has helped to improve the amount of girls who attend our football club and provided us with more fixtures so we can play more competitively against other schools. “I would definitely recommend the programme to other schools as we struggle with getting numbers within the club and it helped boost that. If they can improve it in our school I’m sure they can in other schools. Check out our women & girls and find out how it can help improve attitude and commitment.